The CIA crosses the moral lines all the time. Surprise your target, torture or kill your enemy, vanish without a trace. Then deny it. That was and is its intent. The whole book should be read by prosecutors everywhere, not least those on the ICC. It should propel them into more regular prosecutions of Americans. The book tells the awful story in accessible detail. This kind of systematically organized secret activity was begun by the British during World War 2, the Special Operations Executive, (SOE), which evolved into James Bond’s MI6. It crossed the Atlantic to become the OSS and later the CIA, although President Harry Truman thought, “soldiers of democracy do not fight guerrilla wars. Gentlemen do not slit throats”, as Annie Jacobsen puts it. He closed down the OSS. The same reservations were held by many British generals. When SOE hatched a plan to assassinate Hitler they opposed it, worrying that it could open the way to a war crimes trial. The plan was scrapped. But over in Washington a young Bill Casey, head of the OSS’s operations in Europe, hatched his own plan. Casey was later to become under President Ronald Reagan director of the CIA, and a ruthless one. General Dwight Eisenhower overruled the Hitler operation- he had deployed the army close to Hitler’s mountain residence and it was planning to capture him. When it came to nuclear weapons it was the US which was far more dangerous. In the early 1960s operatives trained in the waters off the coast of Okinawa in Japan. Launched from a submarine they set off to emplace a tactical nuclear weapon into the target area. They carried a real atomic weapon. Vietnam was the next big CIA operation. Interestingly, CIA director Allen Dulles told President Eisenhower in 1954 that a majority of the Vietnamese supported the communist-led Viet Minh. His advice was ignored. The CIA was active during the war. Once, it aided the military by performing a landscape analysis to see where it would be best to use a nuclear bomb. Jumping to 2000 the CIA’s great achievement was to track down Osama bin Laden in Pakistan. President Barack Obama ordered a commando raid on his house and he was killed. Obama shut down the CIA’s “torture program” but he had few reservations about using CIA drones to assassinate Taliban and ISIS soldiers and supporters. Meanwhile, the ICC gets ready to prosecute American soldiers and CIA operatives. There is more to come, and so there should be. 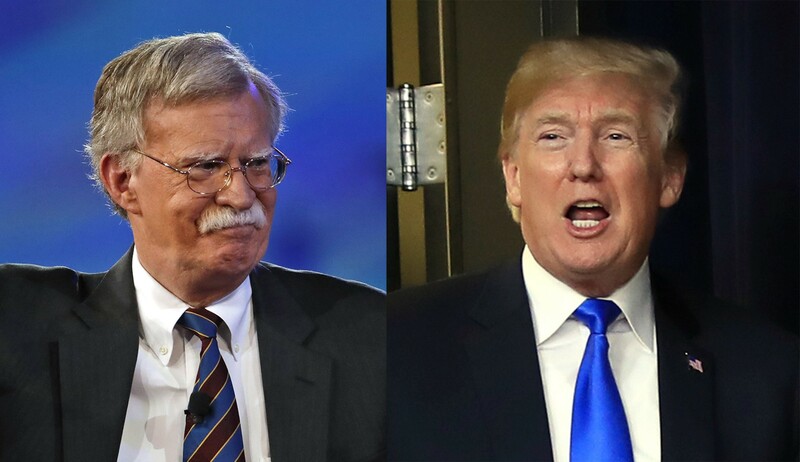 The ICC should not be deterred by Trump and Bolton.